For over 20 years, we have pioneered the manufacturing of the highest quality hydraulic cylinder seals. We have a vested interest in the research of each seal, and we have extensive testing facilities that we use to ensure each product stands up to our rigorous quality regulation. We believe in offering you the best products every time to meet your unique needs. Contact us today to get started! In our 30 years of business, we have learned one thing- customer satisfaction is everything. It doesn’t matter if you manufacture hydraulic cylinder seals or sell lemonade by the road, if your customer is not happy, then you will not do well. We take our customer’s feedback into consideration every time to ensure we provide you with the quick and affordable results you were hoping for. We are an active participant in your transaction. 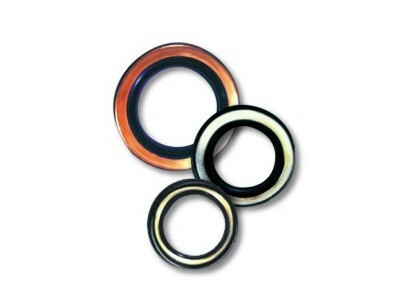 We will provide you with the best part for the job, whether it is hydraulic cylinder seals or tiny o-rings. We offer both excellent customer service and old-fashioned values. We strive for integrity with every transaction. Customer service is our highest priority. Contact us today to learn more! Hydraulic cylinder seals are tools used to maintain pressure levels in hydraulic cylinders; they are crucial to the safety and efficiency of a functioning hydraulic cylinder. Hydraulic cylinders produce linear motion by using pressurized fluid. They vary in design, size and material according to the pressure and temperature requirements, but most hydraulic seals used in cylinders are shaped similar to o-rings but with a more complex profile. Hydraulic cylinder seals are made of a wide variety of materials, usually elastomers, including rubber, some plastics, Teflon and sometimes metal like iron. 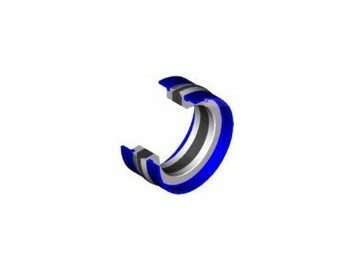 There are a few different parts in a cylinder that require seals. The piston and rod both use them to prevent leaking hydraulic fluid, keep outside particles from entering the cylinder, provide lubrication and eliminate any metal-to-metal contact of different cylinder parts. These seals are found within the automotive, aerospace, defense contracting, oil and gas, chemical processing, industrial machinery manufacturing, plastic molding, construction, agricultural, forestry and wind power industries, among others. Since all hydraulic cylinders contain multiple seals, they are components in machinery and vehicles like plastic injection molding machines and presses, commercial and military aircraft, cars, bulldozers, excavators, backhoes and turbines. Hydraulic cylinder seals must have low friction, resistance to water, oil and chemicals and be able to withstand extremely high pressures. The hydraulic cylinder itself is usually composed of aluminum, steel, iron or bronze. It uses water or oil as the pressurized hydraulic fluid that produces energy. They power machinery that has very high force or multiple moving parts that operate simultaneously. Seals are located in the piston, on the cylinder head and on the rod. The piston seal prevents pressurized hydraulic fluid from flowing across the piston. It is usually made of an elastomeric material. The seal located on the cylinder head prevents pressurized oil from leaking past the interface between the rod and the head, while the rod seal prevents leaking of hydraulic fluid to the outside and provides a degree of lubrication. Hydraulic cylinders also use wear rings, a type of seal that prevents any metal-to-metal contact, as well as rod wipers, which prevent contaminants from entering the cylinder when the extended rod reacts back into the cylinder. Each seal is equally as important to maintain an efficient and safely operating hydraulic cylinder. Without seals, they would completely fail, causing the machinery to become unusable. While they last for long periods of time, regular maintenance checks to ensure the seals have not worn or aged will prevent seal failure.